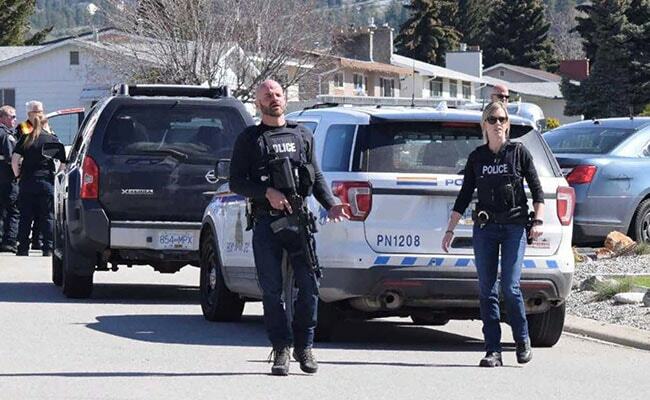 Four people were shot dead in Penticton, British Columbia, on Monday and a suspect is in custody, the Royal Canadian Mounted Police (RCMP) said in a statement. “Police have determined four people are deceased at three locations within a 5 km (3.1 mile) radius,” the statement said. “A man matching the suspect’s description turned himself into the Penticton RCMP detachment. The man remains in custody while the investigation progresses. Preliminary indications are this was a targeted incident,” the statement said. The initial shooting incident was reported at 10:30 a.m. local time (1730 GMT). As police were en route to the scene, a second shooting was reported. The suspect in both shootings turned himself in about an hour after the first report, police said. A motive for the shootings was still unknown. “Determining why this occurred is part of our ongoing investigation,” said RCMP regional commander Ted De Jager. “I understand that this is a deeply troubling incident that has taken place in our community. Our hearts and thoughts are with all those impacted by this terribly tragic incident,” he added.